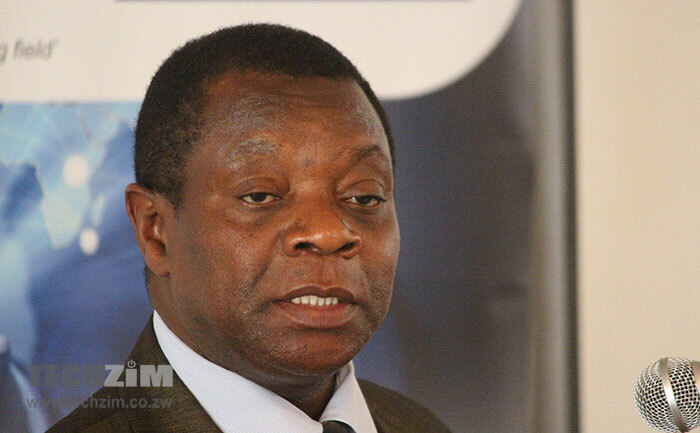 Zimbabwe has won a tender to host one of Southern Africa’s Internet Exchange Points. The announcement was made today by the deputy minister of ICT, Dr. Win Mlambo, at an event hosted by the Internet Society of Zimbabwe and POTRAZ in Harare. To implement the Internet Exchange Point (IXP), the country will get funding of US $200,000 from the African Union which issued the regional tender. The IXP is expected to go live by the end of 2016 with its implementation being spearheaded by Zimbabwe’s telecoms regulatory authority, POTRAZ. An IXP is a physical point that created for internet providers to connect and exchange traffic with each other so that their customers can access internet content quicker and cheaper. The basic role of the IXP is to ensure that local Internet traffic is kept within local networks which reduces costs for the providers and therefore their customers too. Zimbabwe already has a national IXP which is managed by the Zimbabwe Internet Services Providers Association (ZISPA) so thee concept of an IXP is not new locally, just at a much bigger and regional scale. It’s a very big deal for a number of reasons. First it means, traffic in the region is going to be more efficient to access for our internet providers. For example to view video content on a South African website, a Zimbabwean internet user will access it much quicker because her ISP only needs to do ‘directly’ connect to South African. Without an IXP that user may have to go through, say, London. It’s the equivalent of someone in Harare flying through London to get to Johannesburg. A regional IXP also means the case for companies looking to host mirrors of their globally relevant content in the region is stronger as they get to serve a wider scope of users efficiently. For example, a YouTube, Facebook or Akamai cache server hosted in the region serves more users. Hopefully, a regional exchange point also means that local content creators and internet companies increase the local content so that the potential savings in cost are realised. Essentially, if we’re still 90% consuming content hosted in Europe/America/Asia, then the savings from having IXPs reduces. The deputy minister also said today that part of the project of implementing a regional exchange the government will be a review the current working of the ZISPA IXP so that they make it more efficient. Government says it will work with the internet providers to do this. Government will also review the current DNS framework in Zimbabwe so that its management is improved. Also speaking at the conference, some ISP executives said there’s scope for more than one IXP in Zimbabwe. A few years ago, ZISPA refused to host Google’s edge servers at ZINX. Let’s hope the AU exchange has does not fall under ZISPA’ auspices and has better, more forward-looking leadership. I thing its the right time to prove that zimbabweans are better people and are also talended enough to boost their own economy so let’s do it.